Old sweater that is aimlessly in the closet now has a chance for a new life. Before you throw it, see how to transform it into something cool. To help you we have gathered today 10 interesting projects with instructions which you can find in our gallery. If you have some free time, reuse your old sweater eg. in shoes, headboard or bed for your dog is sure to be a great time spending. I hope that the projects you’ll like it enough to share them with your friends. 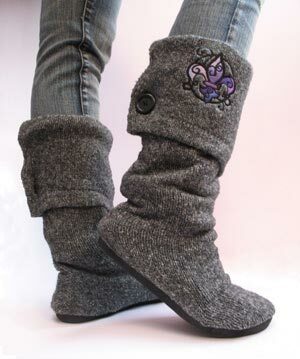 Give your old sweater a new life by repurposeing it into these cute boots.